The Kansas City Royals and Royals Charities are committed to being active members of the Kansas City community and region. 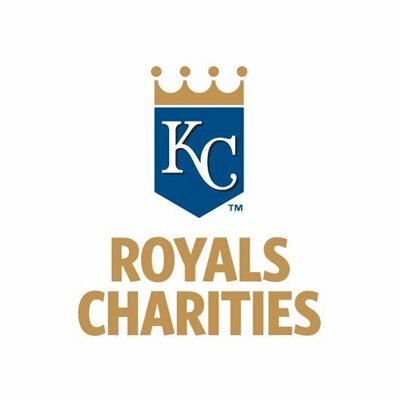 Created in 2001, Royals Charities strives to support children, education, youth baseball/softball and military in and around the Kansas City area. The foundation accomplishes this mission through financial donations, as well as in-kind support, including memorabilia, tickets and publicity. Under the leadership of the Glass family, Royals Charities has donated more than $12.5 million since its inception. Royals Charities helped provide support in 2015 to children-focused charities in the Greater Kansas City area, including Special Olympics KC Metro, Variety Children's Charity of Greater Kansas City, The University of Kansas Hospital, Ronald McDonald House Charities of Kansas City, KVC Health Systems, HappyBottoms, Operation Breakthrough, El Centro and Dream Factory. The Royals Scholars Program is providing scholarships to five students a year through the 20/20 Leadership organization with the opportunity for a $2,500 scholarship per year to any college in Kansas or Missouri. In addition, Royals Charities supports a scholarship at the University of Missouri - Kansas City for School of Education students focused on teaching in urban districts, and made grants to Crossroads Academy, DeLaSalle Education Center and Cristo Rey High School in the Kansas City area. The Royalty Fields Program provides field renovation grants to nonprofits and governmental entities in Missouri, Kansas, Iowa, Nebraska, South Dakota, Oklahoma and Arkansas. In 2015, Royals Charities supported a major field renovation in the heart of Kansas City, Kansas, for Kansas RBI along with field renovations in Beatrice, Nebraska, Brookfield, Missouri, Overland Park, Kansas, and many more. For more information, please visit royals.com/royaltyfields. Royals Charities proudly supported active duty service members and veterans in 2015 through partnerships with Warriors' Ascent, USO Missouri and USO Fort Riley, Warriors' Best Friend Foundation, Whiteman Air Force Base and Fort Leavenworth.